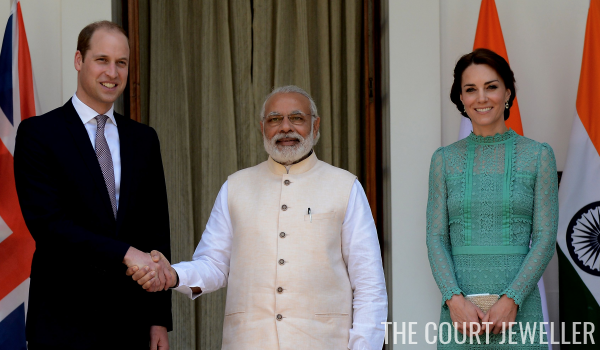 For their final engagement in New Delhi, William and Kate traveled to Hyderabad House to visit with Prime Minister Modi. Kate changed her outfit and her jewelry, debuting a brand-new pair of earrings by Kiki McDonough. 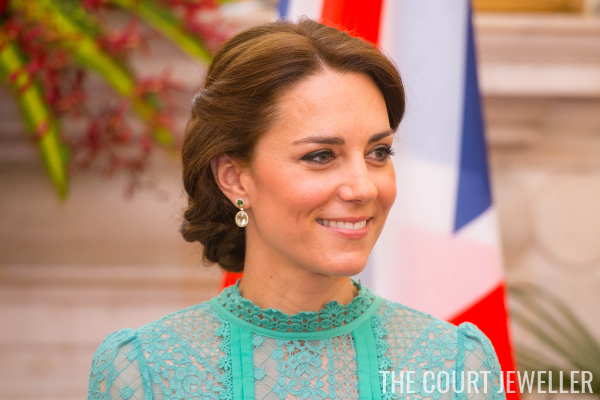 According to Rebecca English, the earrings were made by the company especially for Kate to mark the birth of Princess Charlotte last May. The firm is currently advertising a few new pairs of spring earrings in similar shapes. 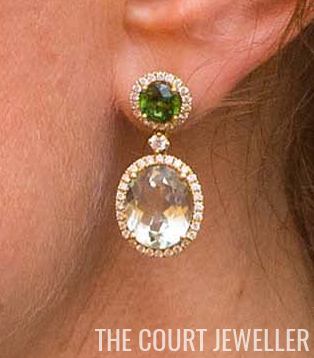 The stones featured in Kate's pair are green tourmaline and green amethyst. 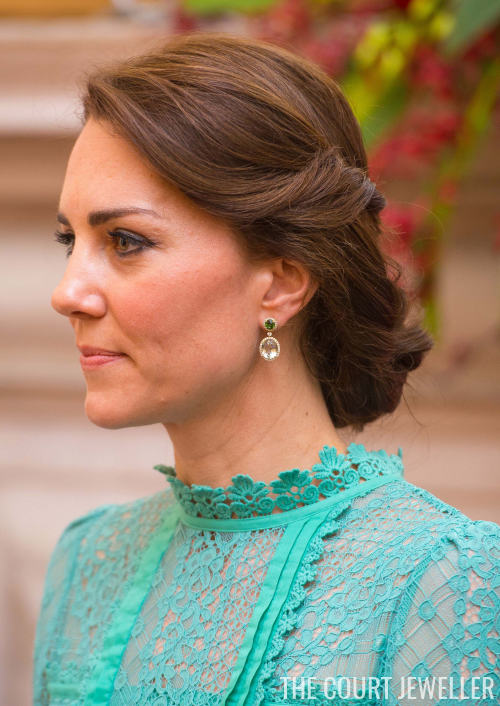 Kate paired the new earrings with a mint green dress by Temperley London -- not sure about the combination of the three shades of green. 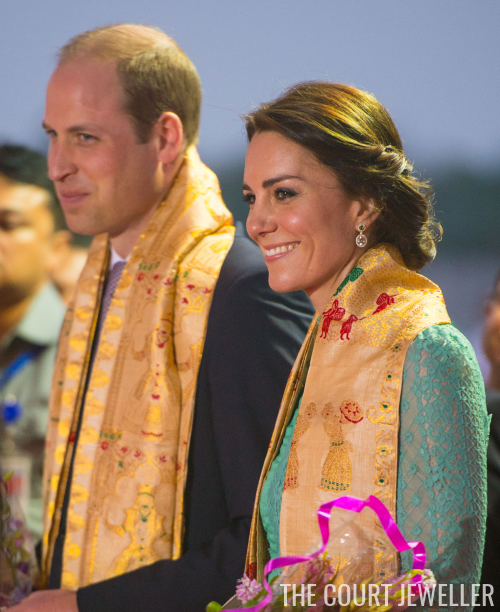 Kate wore the same dress and earrings for the couple's arrival at the airport in Assam.